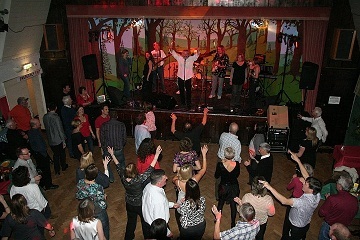 The Main Hall is 37’x26’ and can accommodate up to 110 people theatre style or 80 people seated at tables, with chairs and tables available for these numbers. 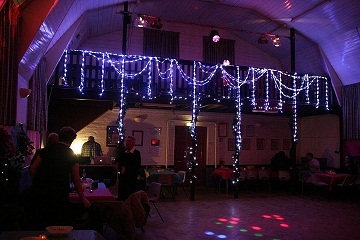 There is a stage at one end and a balcony/gallery at the other, which adds greatly to the character of the room. New Toilets are available off the mail hall and disabled toilets / baby changing facilities off the foyer.A linking corridor provides access to the Club room if you need to hire both areas. 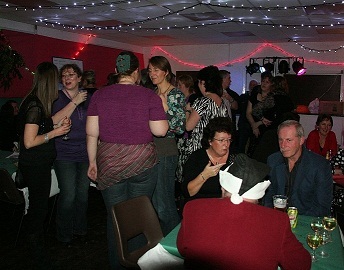 The club room is 33’x19’ and can accommodate up to 50 people. 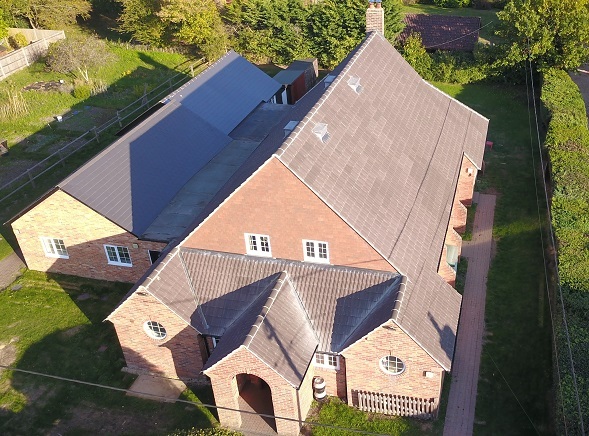 It has its own separate entrance and toilets, and shares the kitchen with the main hall. Ideal for small events or meetings. 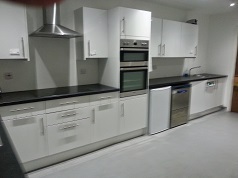 A new Kitchen shared by the main hall and the club room has been installed featuring a 5 ring hob, dual ovens and a commercial glass / dish washer. The Village Hall has its own car park, which can accommodate up to 20 cars, although there is plenty of parking next to the playing field if necessary. There is a small grassy area to the sides and rear of the building, which can be accessed by users if required. This area is gated to make it relatively secure for children.